This holiday home was repaired a few years ago to the present standard, but managed to preserve the original soul of the house. Experience peace and quiet in nature here! Inside, there is a hallway and a pratic mezzanine with chest freezer and combi fridge / freezer. Continue to the dining room and from there to the kitchen area, which is well equipped for self-catering. In addition, bathroom with shower / WC and washing machine in the house. Cozy living room with seating and wood burning stove for cooler evenings. A bedroom with double bed. In the upper floor two further bedrooms with two beds each. In addition, 90 cm wide bed in the bedroom at the top under the roof. 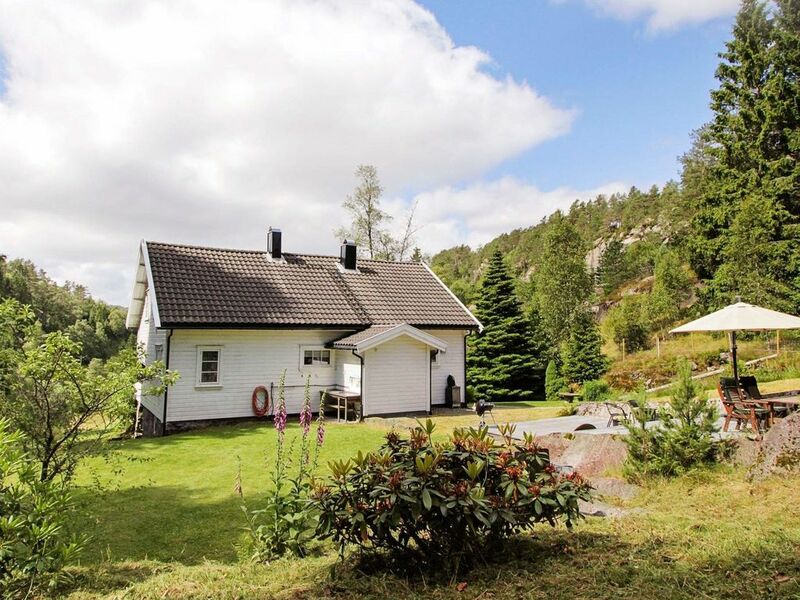 In Lyngdal you will find the popular swimming pool Sørlandsbadet. Lyngna is considered one of Sørlandet's good salmon rivers, where you can try your luck as a Petri grower during the season, equipped with a rod and a fishing license. Other attractions as well as beautiful nature in the area. In Kvås lies the Laksesenter of southern Norway. Salmon ladder in the mountains, where you as a spectator watch the ascent of the salmon up close. Walk through the Perleporten and follow the path for about 200 meters through the grounds to Lake Stemmen. There is bathing and paddling on the lake and rowing. For anglers there is a Filetierbank in front of the house, a barbecue is also available.